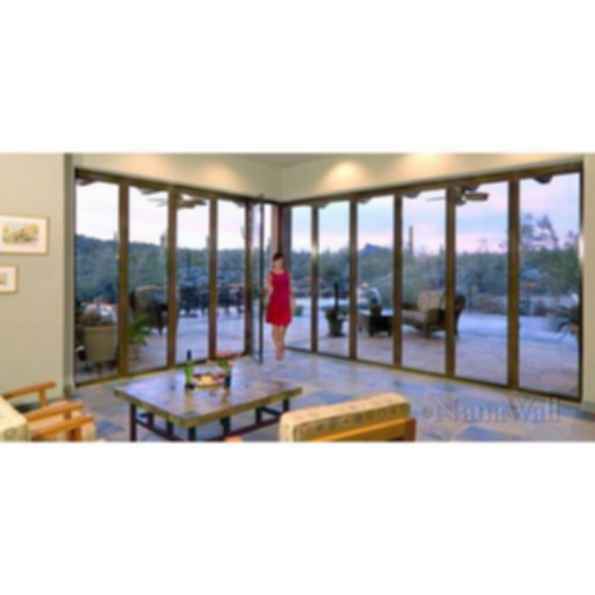 The NanaWall® window walls are designed for large glass openings. The elegant, precision, engineered NanaWall window walls meet the most challenging architectural specifications. The custom made NanaWall window walls are available in aluminum, wood or clad frames with a selection of over two hundred colors. Independent testing confirms that NanaWall window walls meet or exceed industry standards for air infiltration, water penetration, structural & thermal performance and forced entry. Enjoy the best of both worlds: a room with a view that opens to the outdoors yet gives you the peace of mind only weather resistant NanaWall window walls provide. Hi Robert, unfortunately Nanawall has not shared any CAD files with us recently, but they do have a special part of their website dedicated to CAD files, so you should be able to find what you are looking for there: www.nanawall.com/shortform?typ=NW%20-%20CAD%20Download&doc=https://www.nanawall.com/bim-library . I hope that helps! Need a Nanawall GDl folding door for archicad... come on now. It's about time. Nothing on this link... obviously.